The stretch of highway between the small Montana communities of Thompson Falls and Plains is known for the beautiful vistas of the Clark Fork River and the surrounding mountains and cliffs. The drive is also recognized for a resident bighorn sheep herd that is frequently seen along Highway 200 east of the Thompson River. When visiting, please drive with caution because the sheep are often near the roadway and their numbers are declining. ever-increasing rate in collisions with trucks and cars. As recently as 2008 the bighorn sheep population in the area numbered approximately 207 animals. Now as we enter 2013 only 50 sheep remain, a precipitous decline. The numbers are staggering, in a single 15-mile stretch of highway over 400 bighorn sheep have been killed in vehicular collisions since 1985, in a single year 36 died, a trucker from Butte killed 11 in one single accident. The sheep are attracted to the road surface and shoulder by the deicer used by the Montana Department of Transportation (MDOT). The sheep can be seen licking the salty compound from the highway pavement. 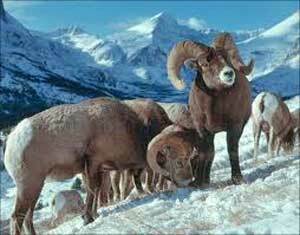 The bighorns move slowly and are fearless which makes them very vulnerable to highway collisions. A speeding 3,000 lb. vehicle with an inattentive or irresponsible driver is lethal for a species that has no innate fear or comprehension of traffic. in the hands of motorists and MDOT. magnesium chloride as a deicer. Caribou are beautiful, antler-bearing animals. They are the only member of the family Cervidae in which both the male and female of the species produce antlers, which they periodically shed and re-grow. Their hooves balloon to the size of dinner plates during the winter to help the caribou walk on snow. They also use their hooves and antlers to dig through snow to reach their main winter food source, lichen, a plant that grows on rocks and tree bark. The woodland caribou is a subspecies of caribou with habitat in northern Idaho, eastern Washington, and southern British Columbia. The number of woodland caribou remaining in the wild continues to decline and is now facing a new threat that is likely to extirpate them from the US. Woodland caribou were once distributed across the northeastern, northcentral, and northwestern contiguous United States. More recently, caribou occupied habitat as far south as the Salmon River in Idaho and as far to the east as the North Fork of the Flathead River in Montana. 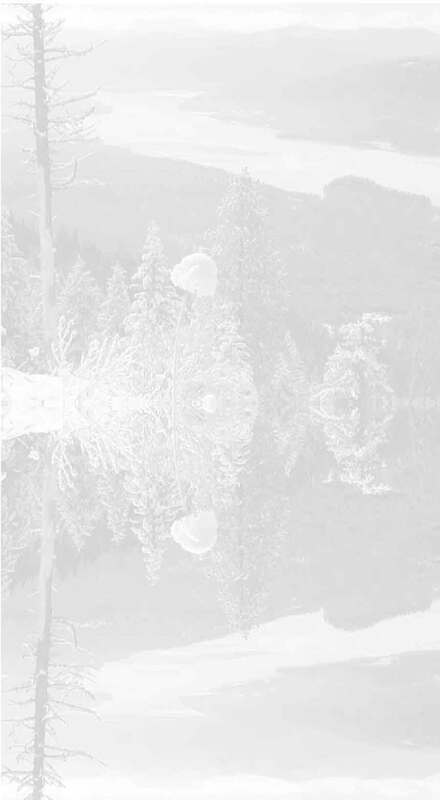 By 1910, the species only occupied the Selkirk, Cabinet, Purcell, and Bitterroot Mountains. By the 1950's, caribou were reduced to about 100 animals in the Selkirk Mountains, with remnant bands in the Cabinet and Yaak Mountains of Montana. By 1983 the only population of woodland caribou remaining in the United States was a small herd in the Selkirk Mountains of northern Idaho and eastern Washington. The herd that occupied the Cabinet Mountains was extirpated in the last half century. We often hear about species on the far side of the globe that are on the brink of extinction because of human expansion and ignorance. In 2013, because of habitat loss and fragmentation, woodland caribou are close to extinction in our own backyard. There are less than fifty woodland caribou remaining in the U.S. Currently, the entire global population occurs within British Columbia, Idaho, and Washington. (SARA). Laws such as the Endangered Species Act were designed to protect the threatened and endangered. Unfortunately ESA has failed the woodland caribou. lost the majority if its historic range. It is likely this decision by the USFWS will be challenged in the courts. 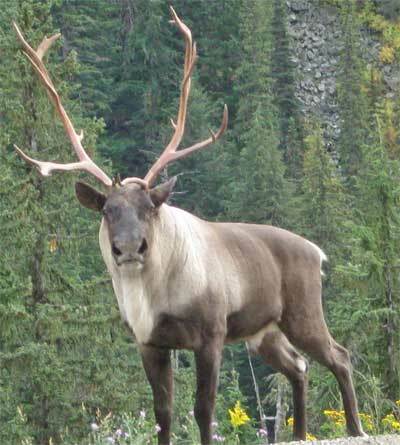 Threats to the woodland caribou continue into 2013. The estimated 46 woodland caribou in the Selkirk Mountains is all that remain of the herds that once roamed from the Pacific Northwest across the northern tier of states. Yet this small herd of woodland caribou continues to be the focus of those whose intent on the eradication of the species. Recently, Bonner County Idaho and the Idaho Snowmobile Association petitioned the US Fish and Wildlife Service to remove the woodland caribou from protections under the Endangered Species Act. The Pacific Legal Foundation is representing Bonner County and the Idaho Snowmobile Association in this effort. What you can do to help: If you are resident of Bonner County Idaho, inform your County Commissioners that the woodland caribou do make northern Idaho unique and protections under ESA should remain. Contact the US Fish and Wildlife Service and tell them that the small population of woodland caribou needs to remain on the endangered species list.